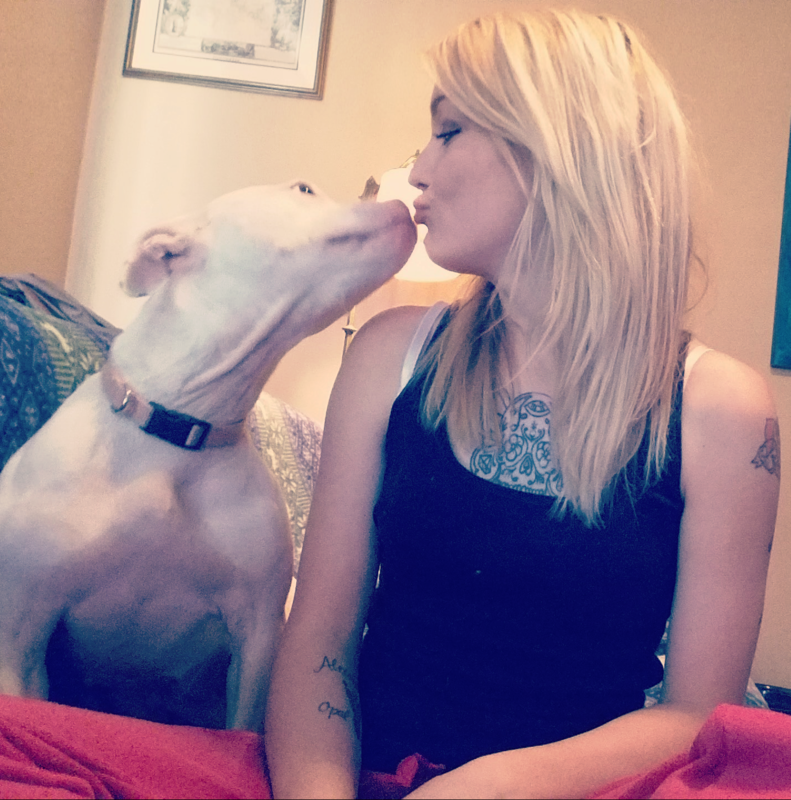 Sweet Deaf Pit Bull Found Covered With Cigarette Burns Gets a New Lease on Life! Animal cruelty is an issue we take very seriously. Although we love and adore the animals in our lives, unfortunately, some people do not respect or value them the same way. Every year, millions of innocent animals are subjected to abuses that we can’t even begin to imagine, and while this breaks our hearts to think about, knowing that there are also amazing, kind people actively working to help prevent abuse and rescue animals from these situations gets us through. One of the most amazing things we’ve noticed about animals rescued from abusive situations is the fact that regardless of how horrible they may have been treated by a person, they always are endlessly willing to love and trust humans again. This resilience just goes to show how rewarding saving an animal can be. It might feel like saving one animal won’t change the world, but there is no question that for that one animal, the whole world will be forever changed. The story of Azog the deaf Pit Bull is a wonderful example of this. 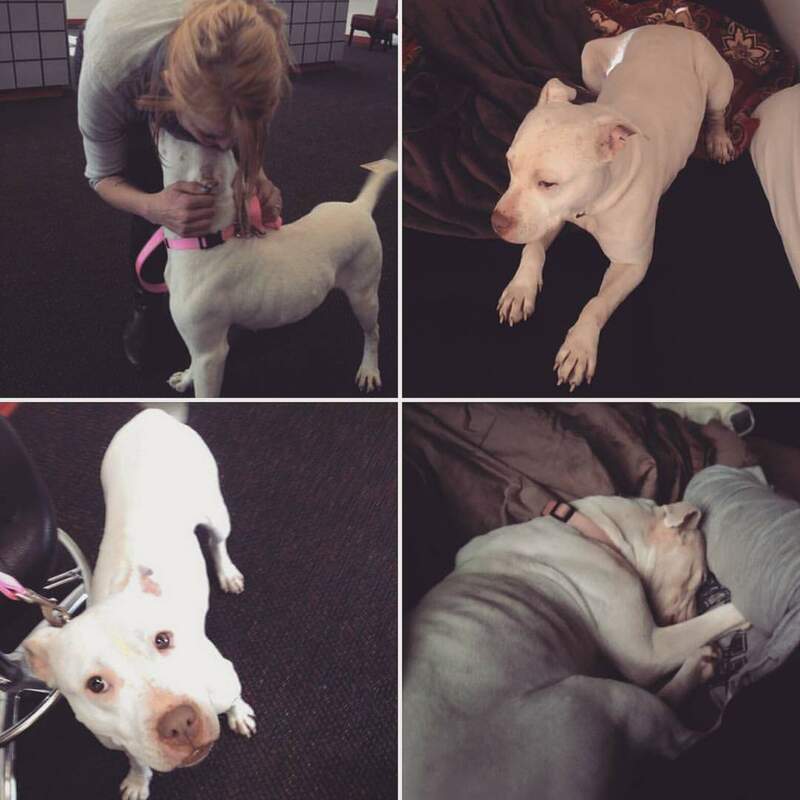 This lovely ivory colored lady is named Azog and she’s stolen our hearts! 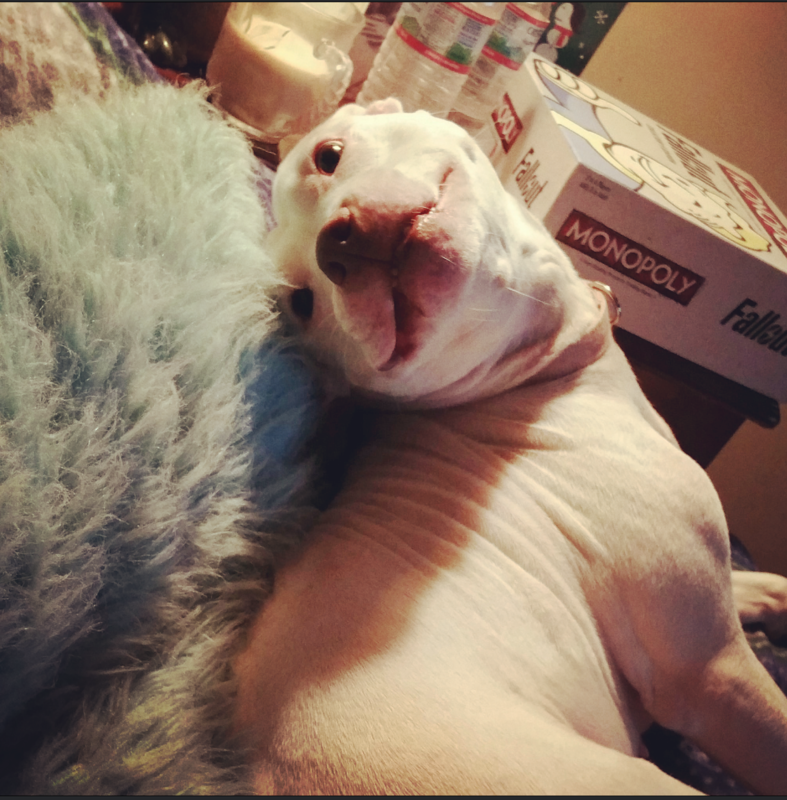 She’s a deaf Pit-mix that was rescued from a bad situation just a short while ago. She was found covered in scars, cigarette burns, and had recently lost her whole litter. But fast forward 10 months in her new home and she’s gained weight, gotten happier, and hasn’t had a medical issue in over half a year. She’s even found a new best friend in the form of a chunky house cat! Look at that Pittie smile! Despite her past abuse, she’s very laid back and goofy. She lets people hug and rub her all over. Love can really transform anything! She also makes a fantastic selfie partner. And loves to give hoomans kisses! She was scared and hurting barely a year ago, but now she has the life every dog deserves. We’d like to thank her hoomans, and wish good luck to Azog! We have dozens of stories about dogs just like Azog that have triumphed over horrible experiences and went on to live fulfilling lives. But remember, none of them did it alone. If you’d like to help dogs in need, consider volunteering at a shelter or even adopting a rescue dog yourself! You have nothing to lose and an eternally loyal lifelong companion to gain!